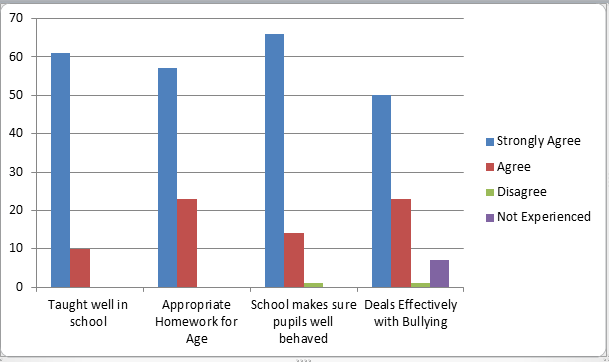 The New Ofsted Framework for Inspection of Schools continues to encourage parents to give their views on line about how they perceive the school functions. 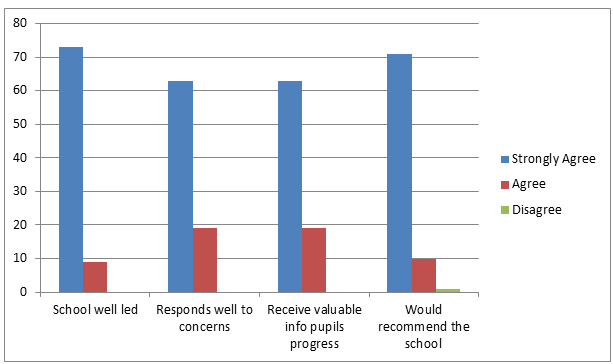 As there is less than twenty four hour notice of an inspection, the Head asked parents to fill out a hard copy at last half term Pupil Progress meetings. The intention is to gauge the general overview of parental feelings and give time to respond and address any areas of concern. 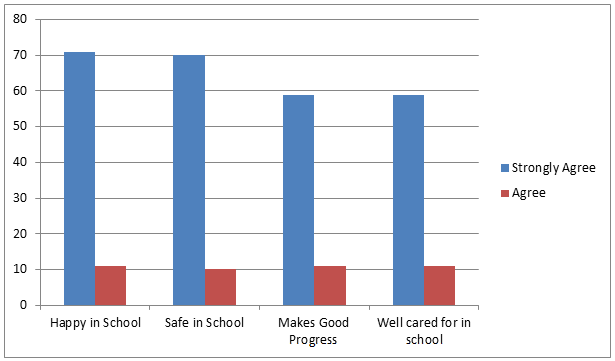 The school currently has 232 families and the return of 82 questionnaires was representative of a 33% return. The first six questions relate directly to the child’s feelings about school with the other six questions focusing around the school’s performance in general. 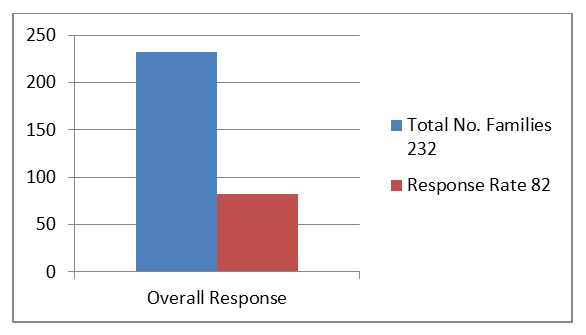 41 out of the 82 returns strongly agree to all the 12 questions, this represents a 50% response.